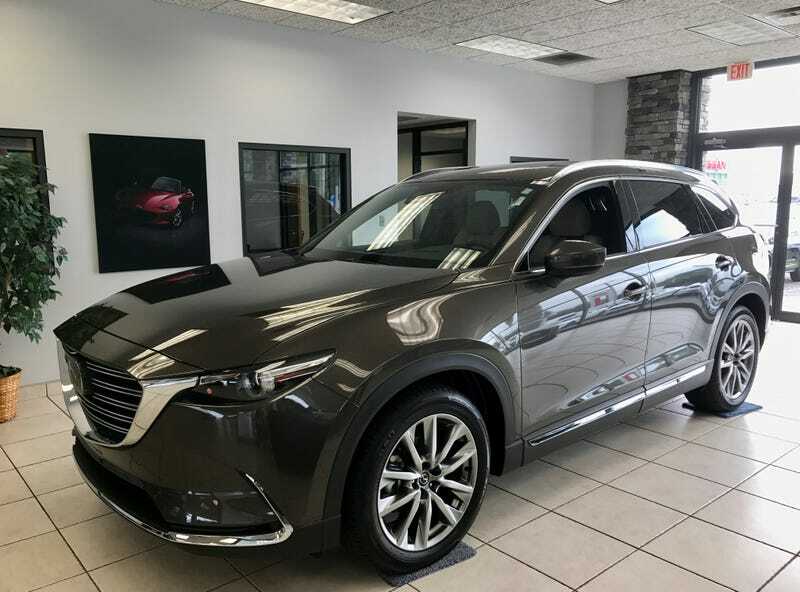 The new CX-9 is nice. My car is having a trim piece replaced under warranty so I did what I do best and wandered around the showroom. This is a Grand Touring model and man is it nice. My wife and I are definitely going to own one someday if we have another kid. I finally got her talked out of a minivan. Disclaimer: I don’t hate minivans in general. At least not like I used to. I just don’t care for any of them on the market, except for the Odyssey and Sienna, which are too expensive and always beat to hell on the used market. It’ll be a while before we upgrade, since our ‘13 CX-5 only has 44k on it. But we’ll definitely make the jump from CX-5 to CX-9 someday. Also, side note: I got my bumper guard for $95.00 on Amazon and my friend installed it for free. Dealer wants $124.95 plus installation. Ouch.